This masters-level module will provide you with the advanced knowledge and skills necessary to undertake and lead critical care retrieval and transfers. You will also learn to critically analyse the special situations that may require alternative or additional application of understanding and abilities. 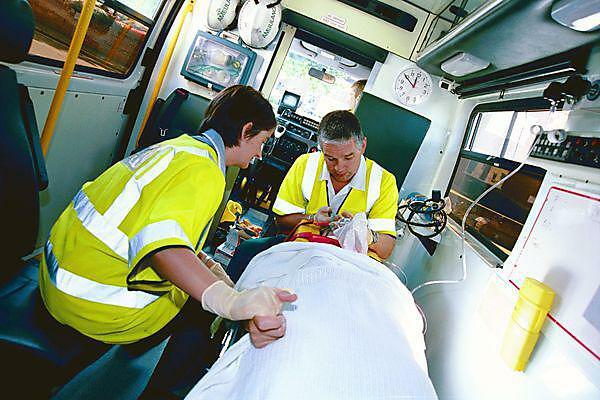 You will develop comprehensive knowledge and skills in key aspects of critical care retrieval and transfer in special situations. The module will enable you to exhibit model leadership and communication skills when performing in routine as well as challenging or difficult situations involving critical care. demonstrate exemplary communication and leadership qualities when working within a multidisciplinary environment. 2. a formal practical examination (OSCE) involving 1 station with an unseen clinical scenario. "This module will enable you to plan and complete specialist retrieval and transfers of critically ill and injured patients. We will be also be covering aspects of specialist transfers (e.g. contagious diseases) and extraordinary situations within environmental medicine and disaster management." be in possession of previous study at degree level. The module lead is Peter Allum.